The pour: Frothy, cloudy, coppery. The ale smells faintly of biscuits and moves languidly in the glass, as if it's going to be a full-bodied swig. The taste: Given its looks, the beer's brightness is surprising at first — but the mid-palate carries custardy flavors laced with hints of lemon. The sweetness is subtle and seamlessly interwoven; if I was blindfolded, I'm not sure I would call this a maple anything. Vanilla and butterscotch spill over the tongue with nary a hint of hoppiness. Drink it with: Totally randomly, I sipped this with some pork chops sautéed with gochojang, and the ale's ample body softened the dish's spicy edges. But I'd also drink it with savory, flaky tarts and pies (such as chicken pot pie) or ... vanilla ice cream. Backstory: Rock Art's Matt Nadeau first brewed this wheat ale more than a decade ago, according to the label, and this most recent release was bottled in late February. It was brewed with maple syrup from Dodge's Mansion House in Johnson. Verdict: It's hard to believe that sugaring is upon us, given the buckets of snow falling outside. 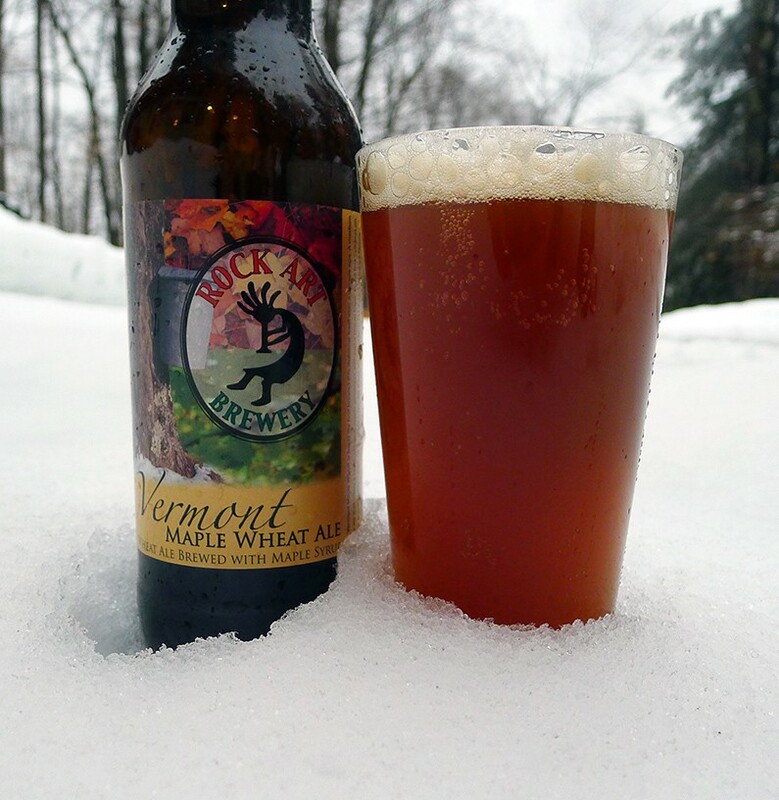 Yet the Vermont Maple Wheat Ale bridges both kinds of days — the snow-whipped afternoons and the crisp, sunny, 50-degree days when the sap flows. It's like a beer-butterscotch sundae, albeit an elegant one. But don't let it linger in the glass: I drink beer slowly, and this loses its head (and zing) quickly.